Great news! As many schools are only returning from their holiday break, we have extended the entry deadline to 11 March 2016. 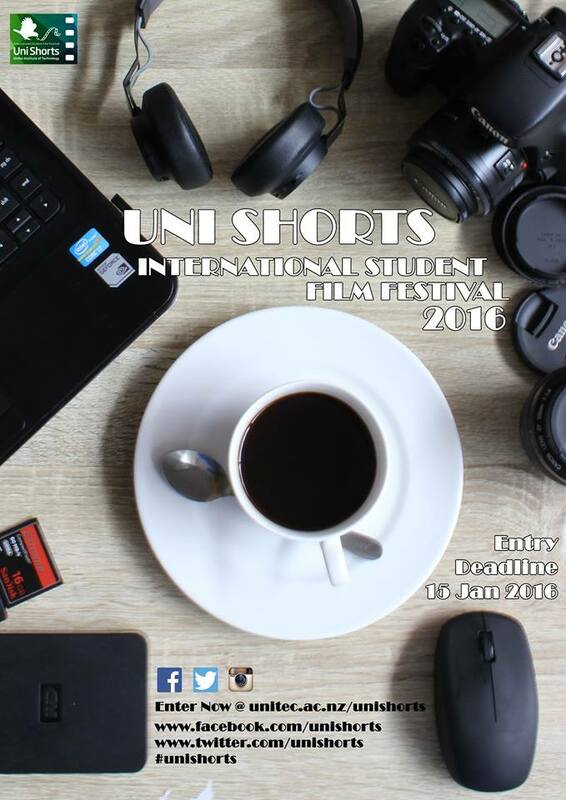 So if you haven’t submitted your film to Uni Shorts 2016 yet, and your film is 20 minutes or less and entirely student-made as part of a course of study between Nov 2013-Dec 2015, we will accept your film as long as your entry is postmarked on or before 11 March. While we have received many entries already, we would love to see more student films in the Experimental (Non-Narrative), Animation, Documentary and Post-graduate Fiction genres/categories. So a special note to all Design and Animation schools, we would welcome your student work! Go to www.unitec.ac.nz/unishorts to enter now!